Why Your Business Should Consider Printed Circuit Boards (PCB) | Northpoint Technologies Inc.
More and more companies are utilizing printed circuit boards inside of the electronic equipment they create and use. They’re doing it, in large part, because printed circuit boards allow for them to fit large circuits into small boards that don’t take up much space. Take a look at some of the other benefits these companies are taking advantage of with printed circuit boards. 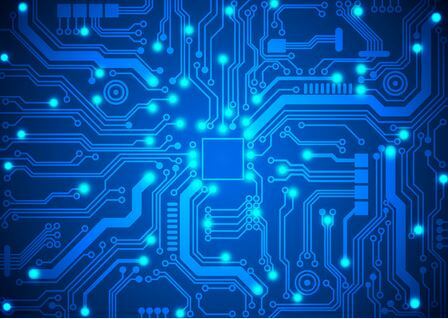 Printed circuit boards are cheap to produce. Printed circuit boards have risen in popularity in recent years because they’re cheaper to make than traditional circuit boards. Companies can have them made using mass production, which cuts costs significantly. This allows them to place printed circuit boards into equipment without spending a fortune. These boards are also easy to repair if any problems pop up. The circuits on them do not move around. All of the various components that are included within a printed circuit board are connected directly to the board through solder flux. This prevents the parts on a printed circuit board from moving around. Therefore, if you use printed circuit boards in a piece of equipment, you won’t ever have to worry about a particular component coming free and moving around inside of it. The circuits also don’t produce much electronic noise. When the components on a printed circuit board are all laid out the right way, there won’t be much electronic noise created when you’re using an electronic instrument. The components should be situated so that electronic currents can take short paths to get to where they need to go. This cuts down on radiation and electromagnetic waves, which will result in less electronic noise overall. Do you want to see how using printed circuit boards in electronic equipment could benefit your company? Northpoint Technologies manufactures flexible circuit solutions for companies at very affordable rates. Call us at 915-591-6300 to get more information on printed circuit boards.